It has been sweltering the last week or so, hasn’t it? I’m avoiding the oven at all costs and focusing my efforts on desserts that involve icy cold whipped cream and frozen bites of cream puff goodness. This recipe I’ve been working on is my favorite kind: a non-recipe! If you can pick up creme puffs in the frozen food section of Trader Joe’s or Costco, you’re pretty much already halfway there. All you have to do after that is make some homemade whipped cream (I usually drop in a pint of cream into my KitchenAid mixer with a tbsp or so of sugar, and 1/4 tsp of vanilla extract — whip until it starts to create stiff peaks). 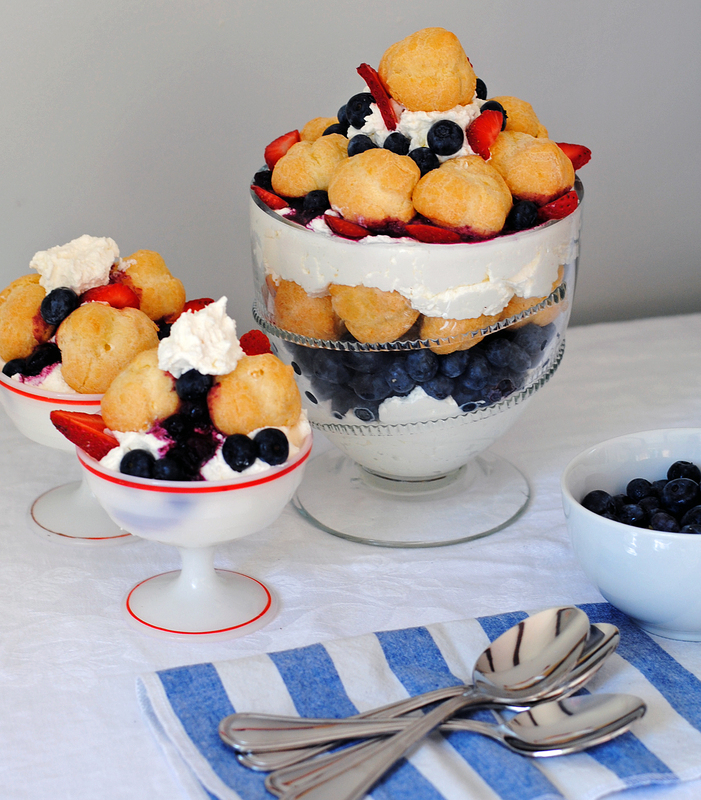 Grab a trifle bowl and layer in scoops of whipped cream, handfuls of berries (I mixed blueberries and strawberries – but go wild! 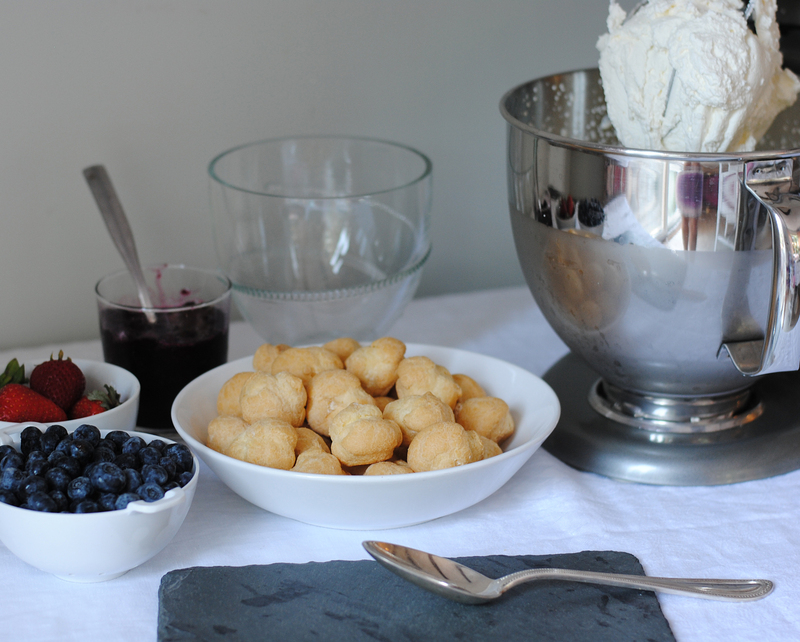 ), and rows of the frozen cream puffs (yup, keep them frozen while you assemble!). 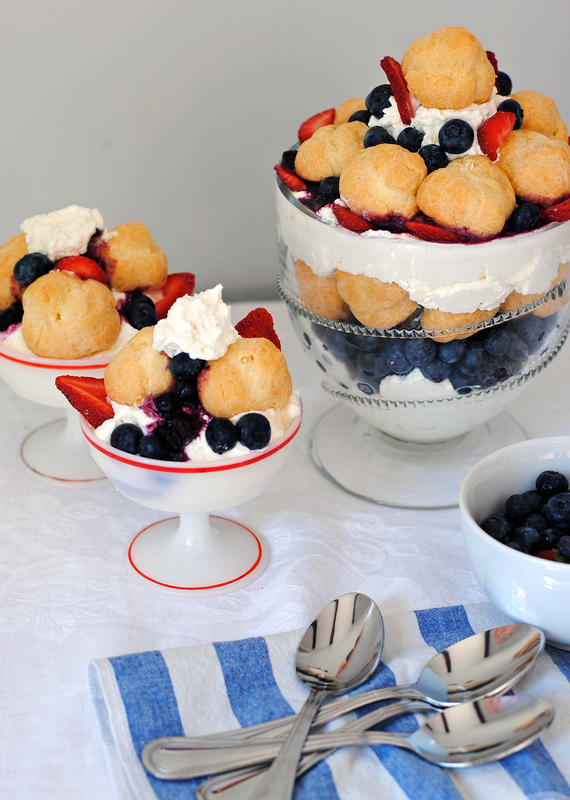 Keep layering until you get to the top of the trifle dish. I made a little bit of blueberry syrup to layer into the top for some extra sweetness (combine 2 cups of blueberries, 2 tbsp of sugar, and 1/4 cup of water in a pot and heat until reduced by half). 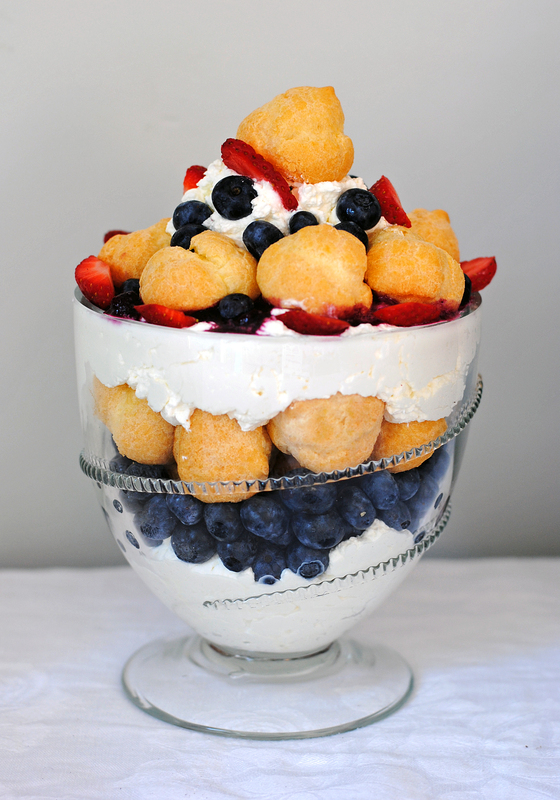 Pour it, once cooled, over the top of the trifle and then add that one last scoop of whipped cream and a cream puff on top fora spectacular tower of sweet, chilly goodness! 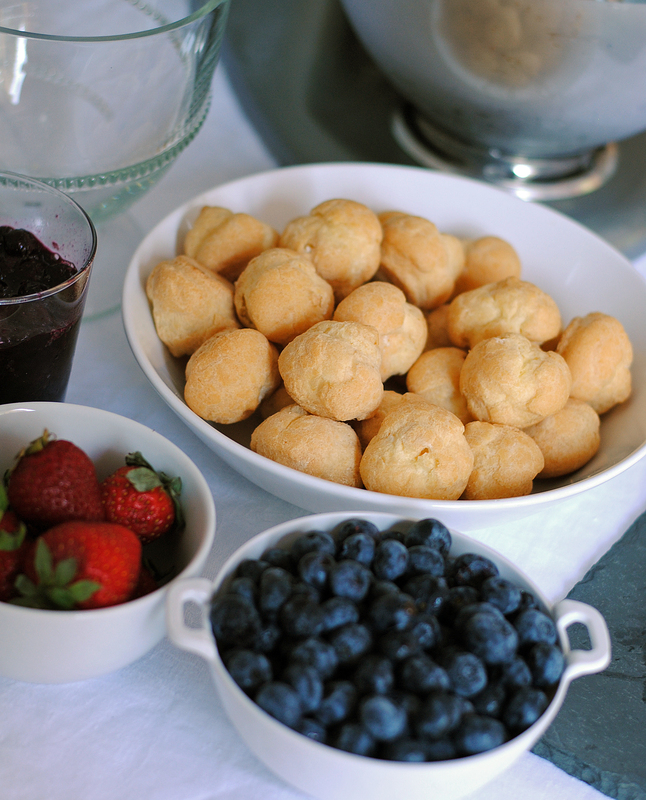 The creme puffs thaw up quickly, so after about 15 minutes of sitting out, everything should be the perfect texture to dig-into for a bite. Strawberry Watermelon Agua Fresca. Love List.